Saix 小狗. 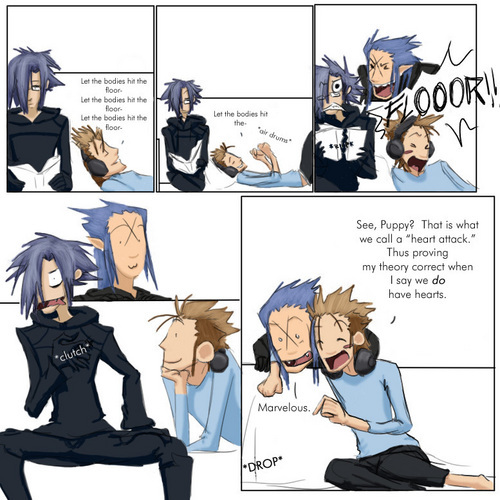 Coloring donw 由 the first, drawing done 由 the later.. HD Wallpaper and background images in the 王国之心 club tagged: kingdom hearts kh kh2 saix puppy demyx cute comic strip funny. This 王国之心 fan art might contain 动漫, 漫画书, 漫画, 卡通, and 漫画卡通.